We want to start off by saying thank you to everyone who made our first Rubio Monocoat Sand & Finish school a possibility. Special mentions to American Sanders and Norton. The school lasted for 3 days and covered the entire process of sanding and refinishing a floor. 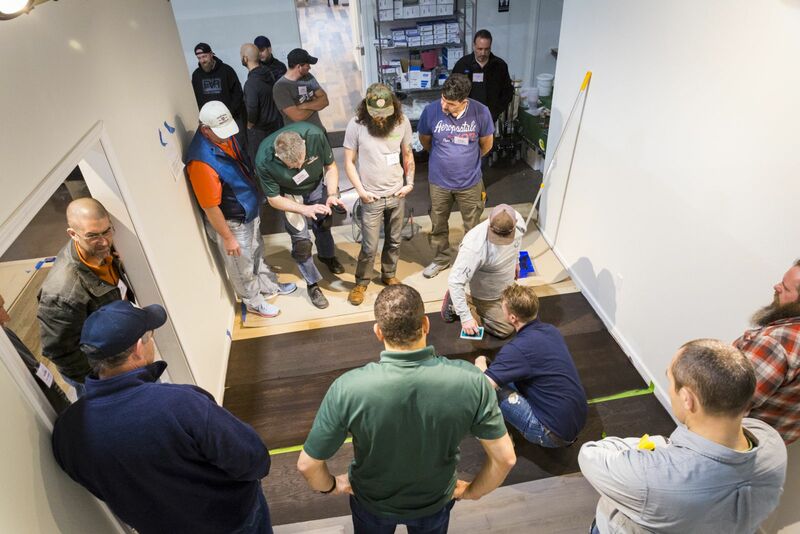 We had an excellent group of attendees who represented top flooring talent across the nation. The comradery and knowledge that was shared during the class was incredible! 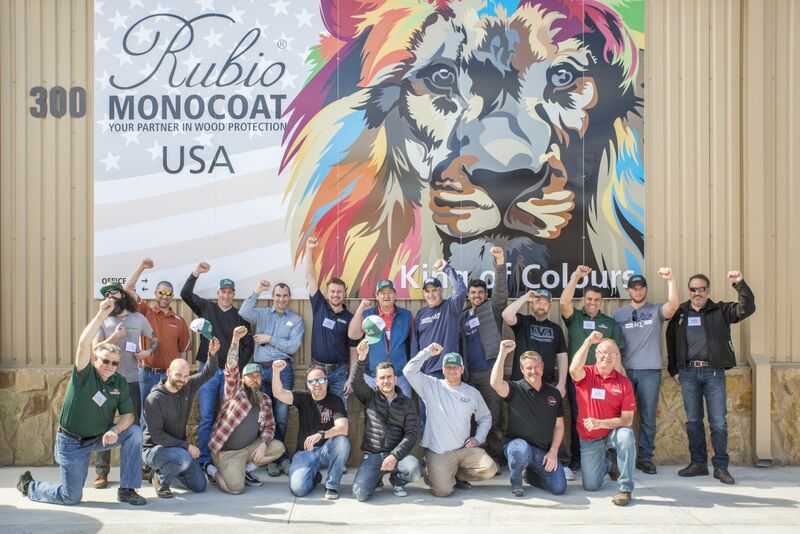 If you're interested in future Rubio Monocoat Training, please let us know HERE. The first Rubio Monocoat Sand & Finish School poses in front of the King of Colours Lion. Johannes Boonstra demonstrating application of Precolor Easy. 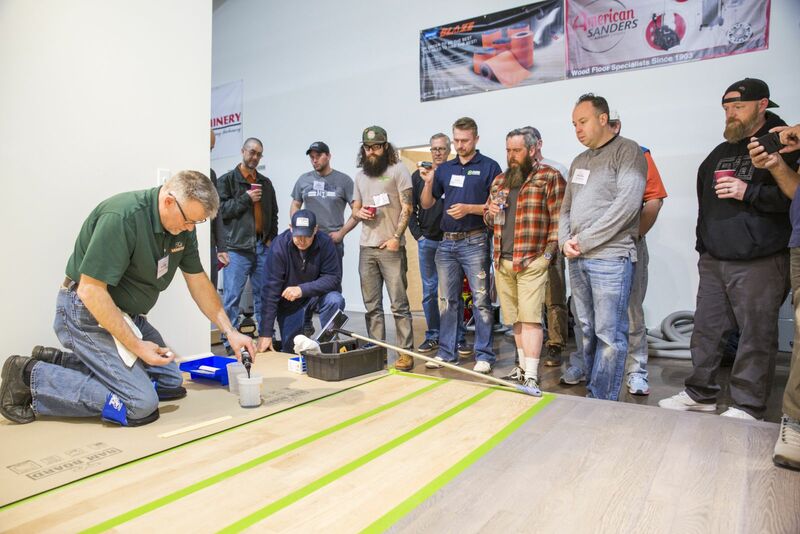 Participants applying new techniques to apply Rubio Monocoat products.